In todays stressful work environment and competitive studies mind plays a very important role. Sharp memory, active mind and concentration are the key characteristics for a successful career. Various brain tonics and medicines to relax mind and make it more efficient are available in market. 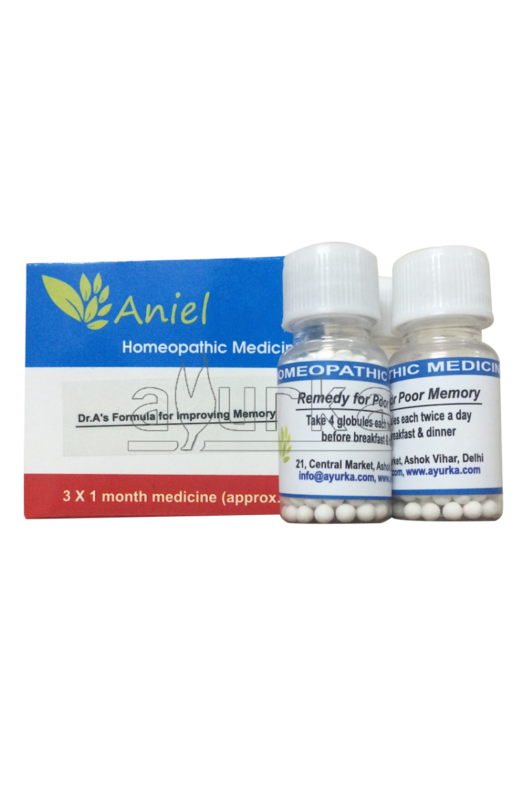 Dr. A’s Homeopathic medicine for improving memory is a combination of various homeopathic medicines, derived from age-old herbs and minerals which are known to improve mental health and brain activity. 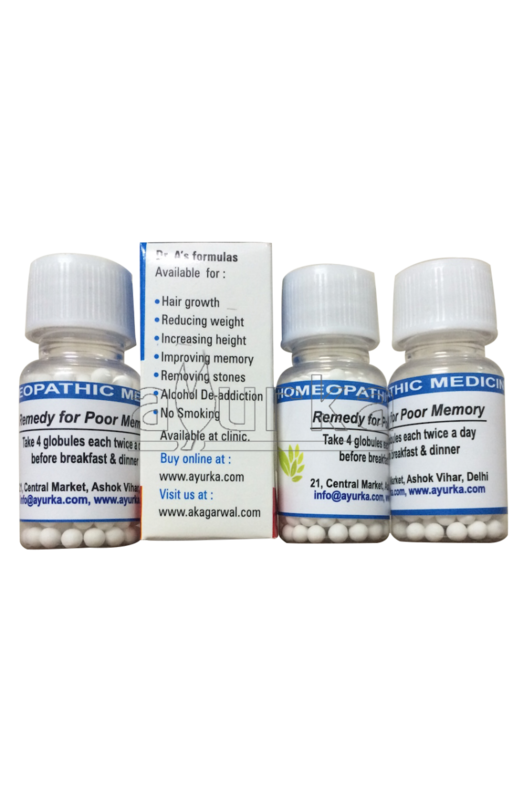 This homeopathic medicine is specially recommended for students to improve their memory and people in stressful job who are facing problems of forgetfulness. Derived from the crushed seed of the Semecarpus anacardium (marking nut), Anacardium is a homeopathic medicine for improvement of memory and concentration. Patients suffering from sudden forgetfulness, absent-mindedness, lack of confidence is particularly benefited from it. Kalium Phos, is used to treat mental and physical exhaustion after stress or overwork, poor concentration, irritability, insomnia, mental exertion are all reasons for depleting mental activity and memory loss. With their treatment the patient tends to improve memory. Gelsemium as a homeopathic medicine is used for treating various neurological and behavioral symptoms. Anxiety patients with symptoms like tiredness, mental apathy, drowsiness etc. are treated with it. 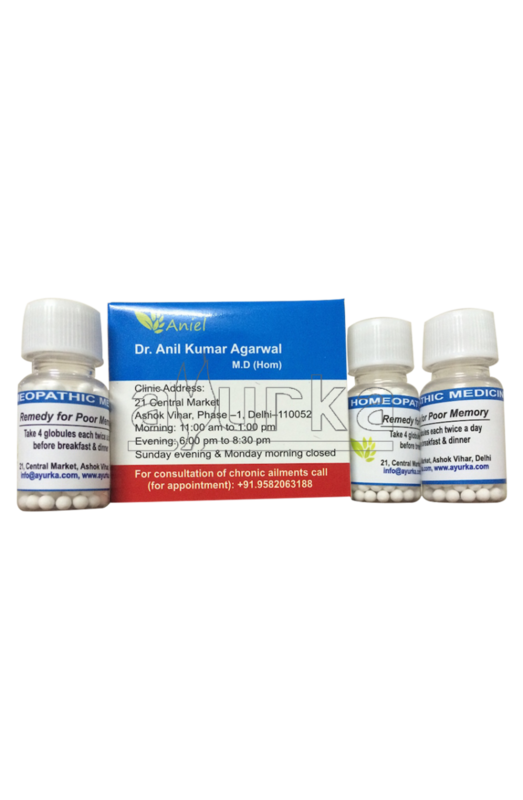 This homeopathic medicine with treatment of these symptoms improves brain function and memory. 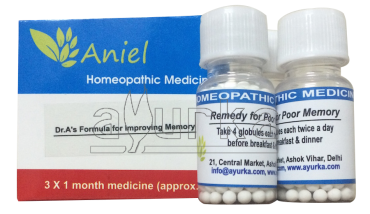 Packing: The Homeopathic medicine for improving memory is available in 3X1 month packing. Direction of Use: Take 4 globules each, before breakfast and dinner.